He is the man behind Into The Night Dollar Baby Film. Walter Perez: Who am I, well I thought you guys knew already (laughs). My name is Walter Perez. And no I’m not the actor of the Fame remake. Though, Walter and I do share some similarities, in our upbringing. 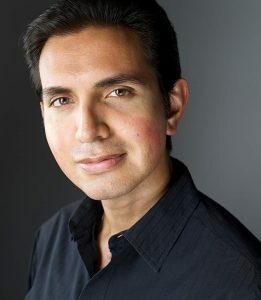 I’m a Mexican American film director, producer, and writer. I was born on August 30, 1987, in East Los Angeles, California. Began my career as a filmmaker in 2008, working on independent films and commercial television shows. In 2009, my sister Kim and I founded a production company named Verloren Productions, in which we have worked alongside various producers and developed fifteen short films and three television pilots. Walter Perez: Where to begin answering that question without sounding pretentious or like the universe owes me something (laughs). It was in 1989, when I first saw Tim Burton’s Batman film. I told my folks I wanted to be Batman in the movies. My Father figured I wanted to be an actor and entertained the idea, with the notion that I would change my mind. But I didn’t. By watching numerous films I simply became more and more enamored with film. At age seven was the moment in which I decided to pursue my passion; to become a filmmaker. My fascination with storytelling and the aspects of technical storytelling prompted this decision. I felt the freedom to choose a path I desired and not that of social norm. With this notion of rebellion, I came to better understand my vision as a filmmaker. SKSM: When did you make Into the night? Can you tell me a little about the production? How much did it cost? How long did it take to film it? Walter Perez: Into the Night was filmed this year (2018) and it’s currently in post production. It took us six months of production to acquire all the footage we needed. This is a film taking place in the 1970s, therefore our budget focused on the proper locations and attire. Production value was key in the making of our film. Our production coordinators: Alexis Pinal, Christijana Mora and Miranda Meza, did a magnificent job setting up all our locations. Christijana researched the various color palettes for wardrobe of that time. Filming in Big bear in sunny california was also a challenge, since snow is alien to us. These are the moments when you get creative, without compromising the vision of the film. I had the good fortune of having six wonderful producers: Ahmet Akinci, Elizabeth Arguilez, Marc Mora, Maria Castro, Orlando Bedolla, and the late Anthony Olazabal. We worked it out and came in under budget. This film was a Verloren Production, with associations to Perez|Arguilez Productions and EverSo Films. Walter Perez: The idea of being out of one’s element. You think about films like Jaws, Deliverance, The Edge, Aguirre: Wrath Of God or even The Perfect Storm. You get a sense of unforseen danger, and how the characters in each of these films dealt with the situations at hand. The story by King has an attitude of its own. It speaks to you about how people thought in say the 1970s, about how small town Omerta’s and urban legends play an intricate part in people’s psychology. SKSM: Could you explain us the title of this work? Why did was changed? Walter Perez: One for the Road works as a book title, but for me, that title didn’t sound too attractive for a film title. It doesn’t hold the appeal of titles like It or The Shawshank Redemption. Therefore I went with something more vague and closer to what the story discusses. Walter Perez: Back when I was in High School, I read most of Stephen King’s Novels. He is obviously one of the most prolific writers in the world, so since then I forged the idea of one day being able to adapt one of his stories into film. Which one, I didn’t know – But I would tackle one, one day. So with time and research, I came across this opportunity and said, “Why not? What have I to lose?” As a filmmaker, a story has to somewhat challenge you in order to tell it. And his stories are challenging to bring to life. Many have, but only few have been able to find the heart of the tale they’re telling. Walter Perez: Funny, I constantly got yelled at by the assistant directors; mind you I had three of them (Laughs). Special, The whole process. It began with two signatures (King’s and mine), then followed by a script. From there, the magic began. To be able to bring together a group of remarkable people for one common purpose. No words can describe it, it made six months of Production fly. Walter Perez: None yet I guess. We’ll see. With things like this, you always want to protect from criticism. It’s all a learning process. Walter Perez: We hope to screen the film in various film festivals. I’m excited about all possibilities. Walter Perez: I’m a fan, as mentioned on a previous question. Since my high school years, I just sat down and read away. Some of my favorite King novels are Needful Things, The Shining, Misery, The Dark Half, Eyes of the Dragon, Christine, Carrie, Dolores Claiborne, From a Buick 8, The Colorado Kid, The Green Mile, The Dead Zone, and yes IT. He’s written many great works of literature. Film Adaptations of his works, that’s a harder one to call (laughs). I will say some of the ones I’ve enjoyed are, The Shawshank Redemption, The Shining, The Green Mile, both versions of IT, Misery, The Dead Zone, Pet Sematary, Carrie, The Mist, and The Running Man. The last film mentioned is a stretch for some King fans. Walter Perez: I’ve only spoken to Margaret Spruce Morehouse. Once the film is ready I will mail a copy of it to Stephen King and hope he enjoys it. Walter Perez: I’d love to, why not, right? I think his literary work has the ability to inspire any filmmaker. There’s many great novels and it would be unfair to just pick one. We were fortunate to be able to film our film – excuse my redundancy (laughs). Walter Perez: Working. With Into the Night currently in post production, We have two projects entering the stages of pre production. I wrote them and will be producing and directing both productions. Walter Perez: I’m not sure. Anything from anyone can be a joyful surprise or a displeasure now a days. We’ll let the audience decide. Walter Perez: Thank you for granting me this interview, it was definitely fun. And to everyone reading, you’ve made it to the final sentences, thank you for your time and attention. Be Safe and Stay tuned! Walter Perez: Once its ready, Feel free to check out Into the Night. Thank you.